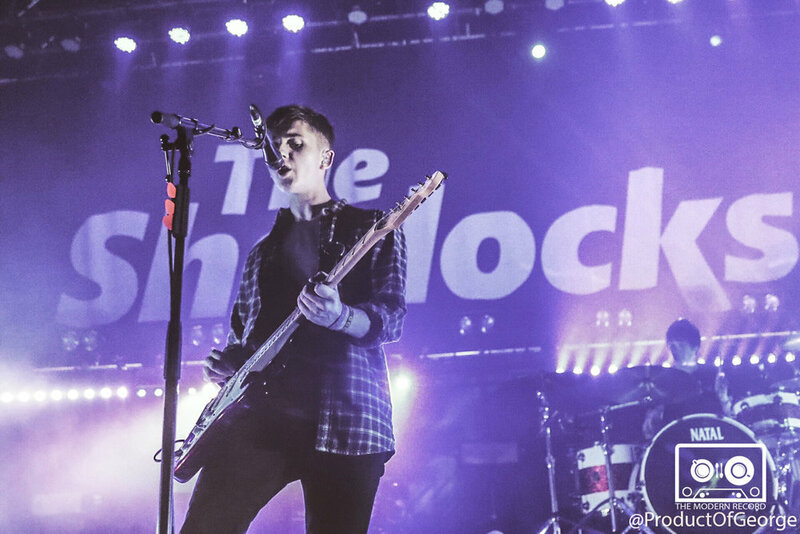 One of the most recent bands to burst onto the scene ‘The Sherlocks’ performed a strong and energetic set to a sold out O2 ABC. The excitement for the Bolton born rockers was apparent from the second the doors opened, this only grew with the fantastic performance from local favourites ‘The Snuts’.The four pieceindie rock band went down a treat with the crowd with their sing along anthemic music, they had the crowd at their fingertips as they went into their very fitting song ‘Glasgow’. This was there perfect opening for what would be a evening of fantastic music. 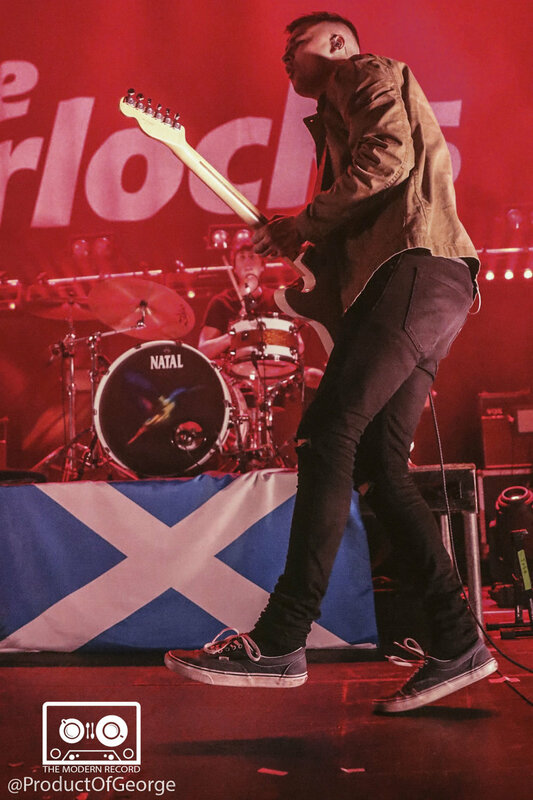 After entering the stage with a humble shyness ‘The Sherlocks’ soon found their confidence when they started performing ‘Last night’ which was the perfect opener for the night with its catchy chorus and upbeat riffs. The band then moved onto ‘Escapade’ another song off of their highly regarded debut album ‘Live for the moment’. As the night went on the crowd only got more and more energetic, there wasn't a single person standing still as the band performed ‘Was it really worth it?’ a fan favourite from the night. The four members of the band all seemed to be shocked at how well the crowd knew the song and this only led to a more confident performance from the band. 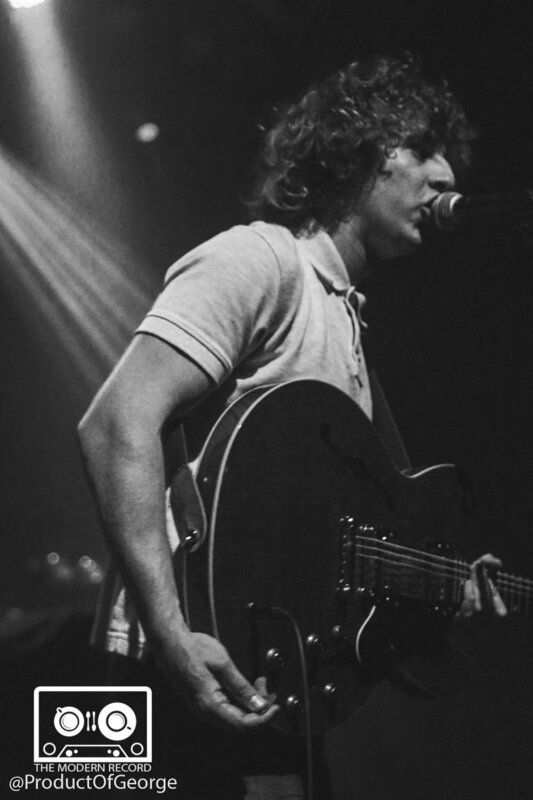 The performance of the song ‘Candlelight’ provided a calmness to the night with the indie ballad sending the crowds shoulders swaying and with frontman Kiaran Crook requesting the crowd put their lighters in the air, then going onto say ‘I feel like Coldplay now’ brought out smiles from both the band and the crowd. Lighters were quickly put away as the song progressed into the chorus with people on shoulders singing to their friends across the O2 ABC. As the night continued the band kept the crowd on their toes by starting various chants throughout the evening. The final two songs performed were ‘The Sherlocks’ two biggest hits ‘Live fir the moment’ and ‘Chasing shadows’. Before jumping into ‘Live for the moment’ the band humble as ever thanked the crowd for being a massive part of their journey, mentioning other previous gigs at various Glasgow venues such as ‘Stereo’. ‘Live for the moment’ received a fantastic reception as the crowd chanted back every word as if the song was a classic, the crowd was ecstatic as various pits opened up towards the centre of the crowd. 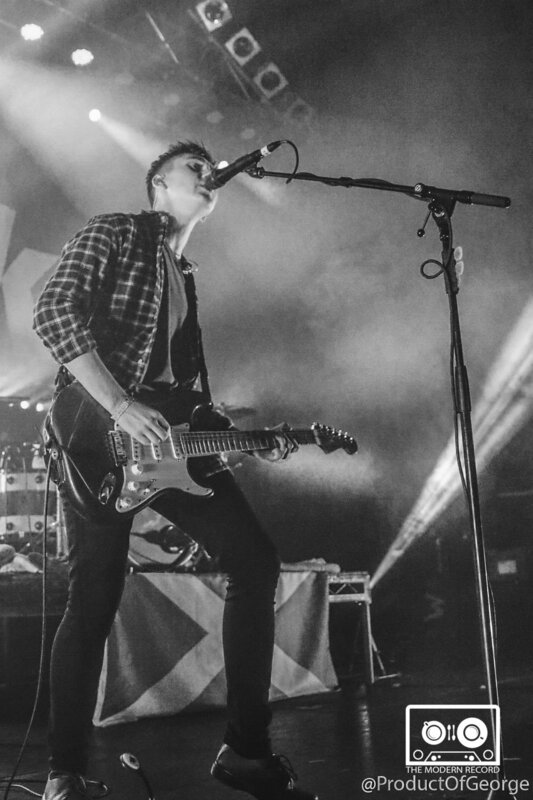 Front man Kiaran had sweat dripping down his face as he performed the final chorus which was met with plenty of adoration from the bands loyal fan base. The band then closed with ‘Chasing Shadows’ which had the crowd draw every last bit of energy they had into one mass wave of excitement and joy. 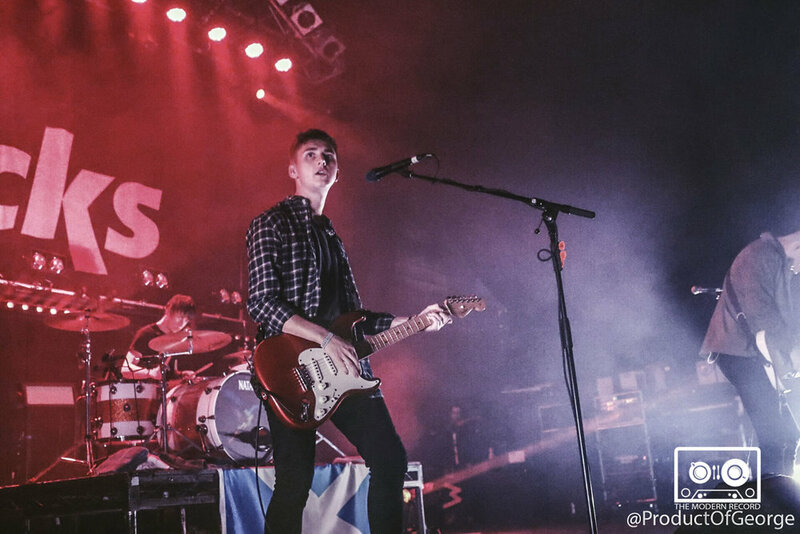 The song has a matureness to it and when performed live has hints of inspiration from The Courteeners. 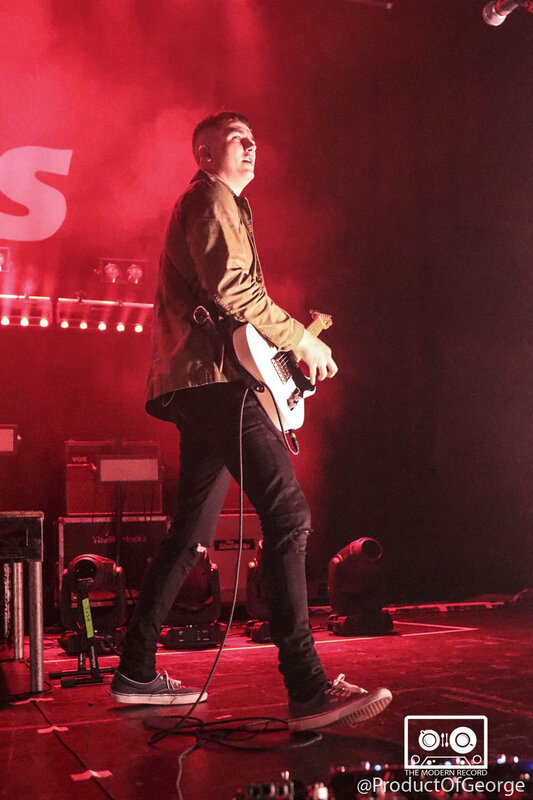 The crowd went mental as the band threw every bit of energy they had into the performance, the sings catchy riffs and sing along chorus making it an instant classic in the indie rock scene of recent. 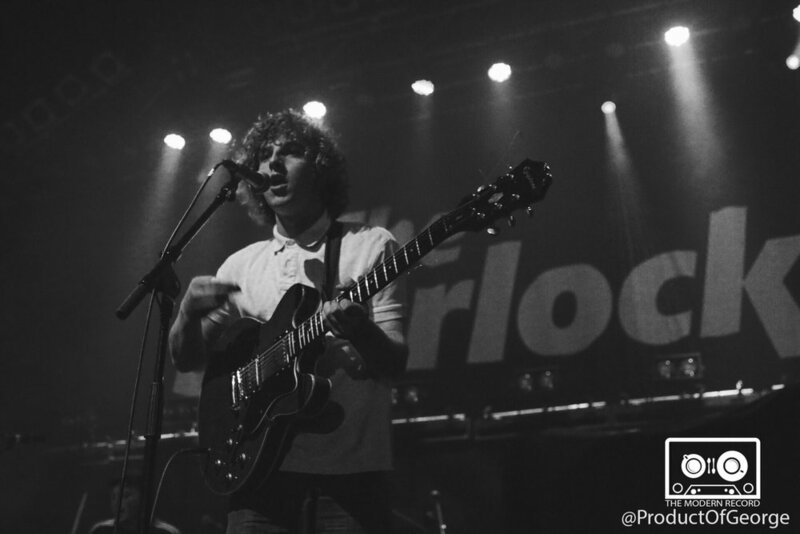 ‘The Sherlocks’ put on a fantastic show with a strong support act which was met with much adoration from the crowd. I would definitely say ‘The Sherlocks’ are a band to watch due to the quality and mature sound of their debut album ‘Live for the moment’. The only criticisms from the night would be the crowd chanting sectarian chants something nobody wants to hear at a gig but that is neither the bands fault or problem. Overall, a strong performance and a band I would definitely recommend going to see.